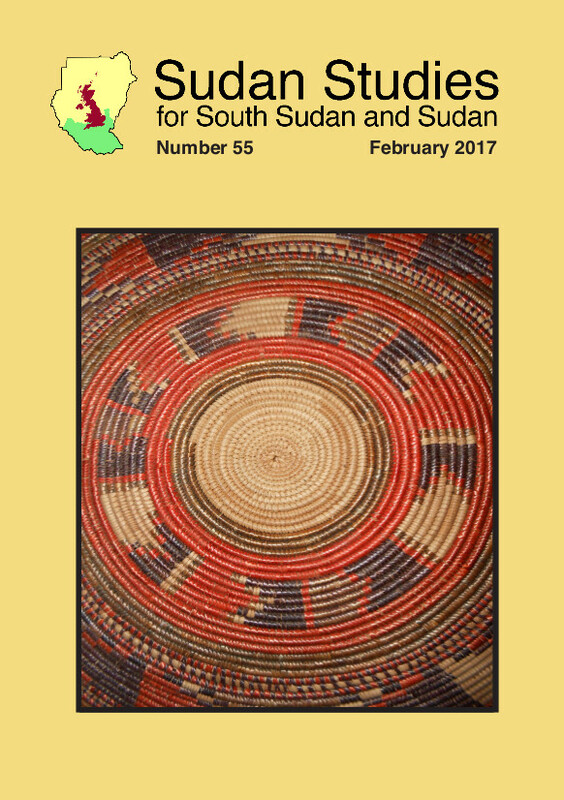 Sudan Studies 58 is now digitally available on this website for SSSUK members who have website accounts. 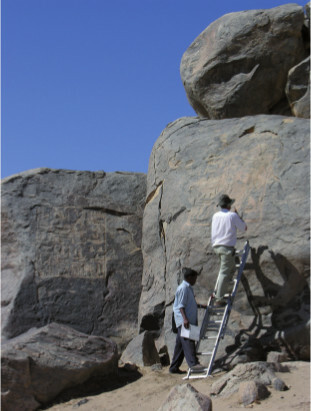 Sudan Studies 54 has been made publicly available after the two-year exclusivity period. ‘The death of Paul Wilson.’ p. 3. Lutz Oette. ‘An innovative approach to women’s studies in Sudan: A review and a report.’ pp. 4-9. 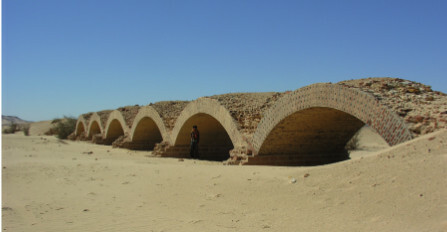 Nagla Ahmed. ‘Defending human rights in Sudan, a daunting mission.’ pp. 10-16. Antonis Chaldeos. ‘The Greek community in Sudan at the time of the Mahdia, 1885-1898.’ pp. 17-28. Peter Martell. ‘Hope from history – Keeping the dream of South Sudan alive.’ pp. 29-40. Kuyok Abol Kuyok. ‘The neglect of the history of Sudan in South Sudan’s national curriculum.’ pp.41-52. Sara Maher, Santino Atem Deng, Nicki Kindersley. ‘South Sudanese Australians: Constantly negotiating belonging and identity.’ pp.53-64. Herman Bell. ‘The toponymy of Ishkeed and the revitalization of an endangered Nubian Language.’ Review of a book by Abdel Halim Sabbar. pp. 65-69. Kuyok Abol Kuyok. ‘Jungle chronicles and other writings: Recollections of a South Sudanese.’ Review of a book by Atem Yaak Atem. pp. 70-72. Gill Lusk. ‘Torture in Sudan 1989-2016. A systematic practice in a context of repression, Islamisation, exclusion and impunity.’ Review of a book by Nasif B. E. Ahmed. pp. 73-75. Edward Thomas. 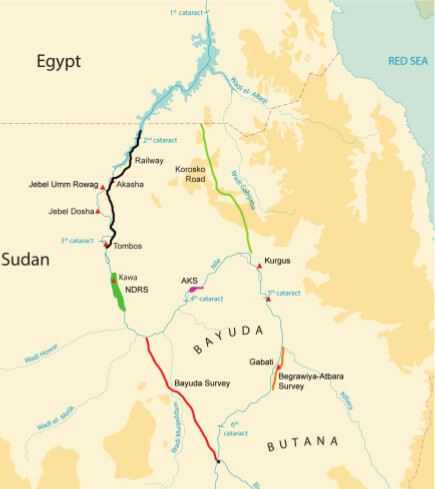 ‘Munich on the Nile: The road to Sudanese Independence.’ Review of a book by John O. Udal. pp. 76-78. Jane Hogan. ‘Sudanese memorials: The Kerr Arch, Durham School’. pp. 3-4. Elizabeth Hodgkin. ‘Education in South Sudan’. pp. 5-19. Lutz Oette. ‘Litigation before the African Commission on Human and People’s Rights and the struggle against torture in Sudan’. pp. 20-33. Edward Thomas. ‘Visiting Akobo’. pp. 34-41. Azahir Hassan Abdel Rahman. ‘The impact of irrigated agricultural schemes on social services in Sudan: A case study of the Rahad Irrigated Scheme’. pp. 41-48. Charlotte Martin. 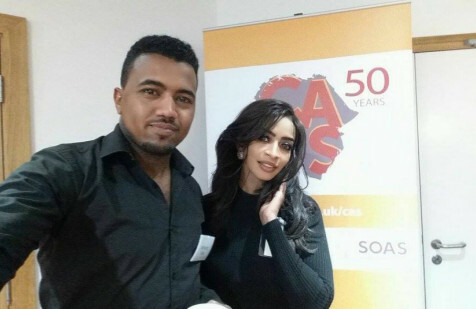 Report of the SSSUK/Centre of African Studies meeting, ‘The international embrace of Khartoum: Causes and consequences for Greater Sudan’. pp. 49-51. Heather J. Sharkey. ‘Lost nationalism: Revolution, memory, and anti-colonial resistance in Sudan’. Review of a book by Elena Vezzadini. pp. 52-54. Jack Davies. ‘Canada in Sudan, Sudan in Canada: Immigration, conflict and reconstruction’. Review of a book edited by Amal Madibbo. pp. 55-56. Peter Woodward. ‘Their Second Republic: Islamism in the Sudan from disintegration to oblivion’. Review of a book by Abdullahi A. Gallab. pp. 57-58. M. W. Daly. ‘Colonial violence, sultanic legacies and local politics, 1916-1956’. Review of a book by Chris Vaughan. pp. 59-63.